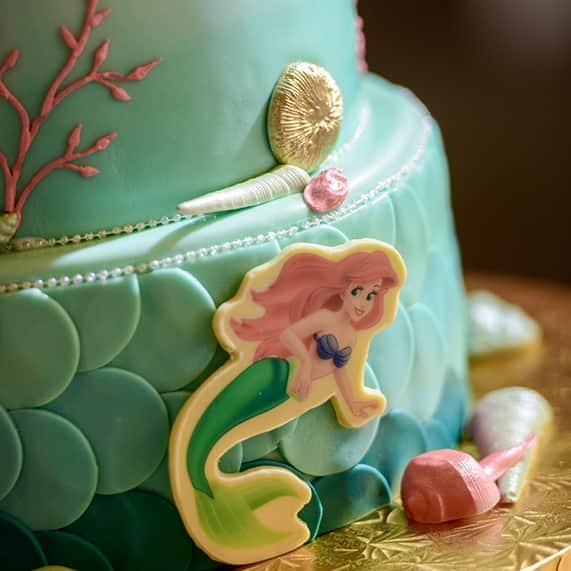 I invite you to be "part of our world" for this week's Wedding Cake Wednesday! 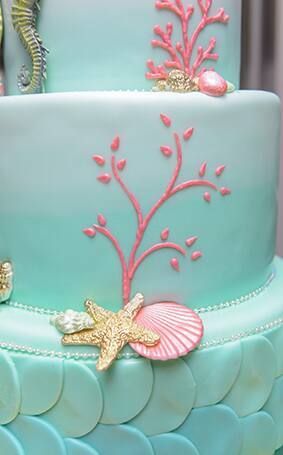 Inspired by Ariel's mermaid tail and the beauty of the ocean itself, today's cake encompasses all the beauty and wonder of the sea. 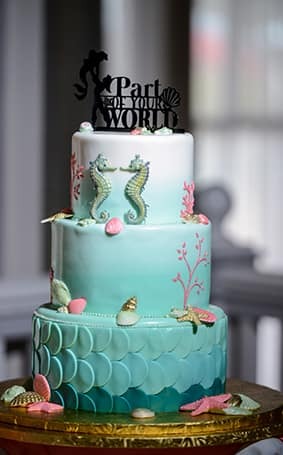 Complete with seahorses, shells and a touch or coral reef it's a sophisticated take on The Little Mermaid and a perfect subtle nod to the beloved Disney Princess.